In this blog The Pilates Studio writes about one exercise a day. These exercise will add variety to your home practice. Some of the exercises are very similar; this way if one exercise feels repetitive you can change it just slightly the next day. If you look to the right of the screen you’ll see the option to follow this blog. 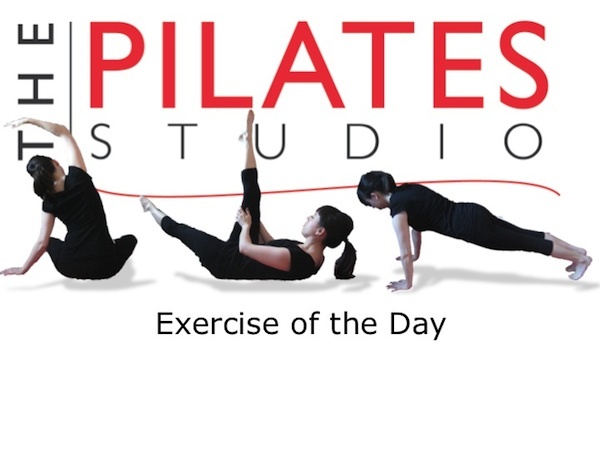 Following The Pilates Studio’s Exercise of the Day blog will ensure that your pilates workouts keep your interest with variations and alternate possibilities. You will also see the option of signing up for our free e-Book “12 easy ways to relieve morning aches and pains,”.